In foodservice, warewashing is all about efficiency, durability and simplicity. No one makes warewashing easier than Carlisle. 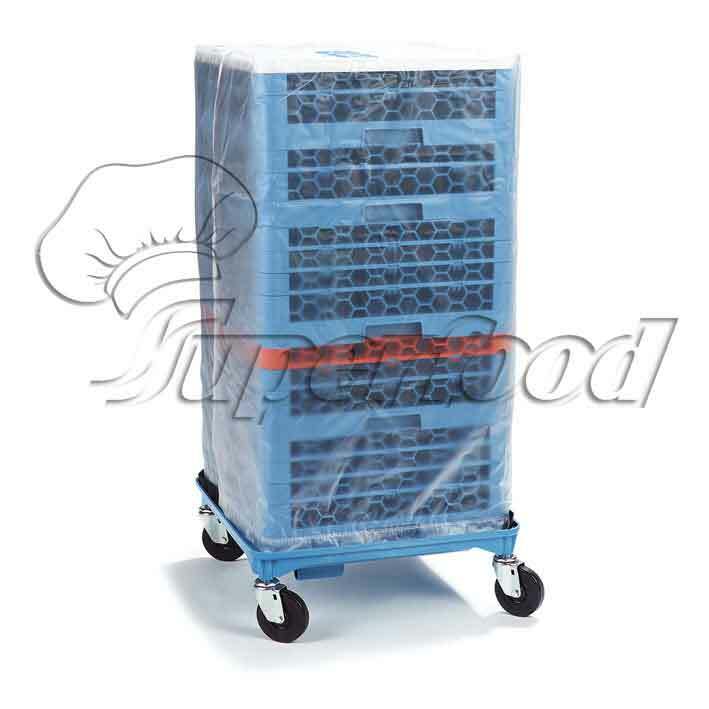 We offer every rack, basket and accessory you need to get the job done. Carlisle’s OptiClean™ system includes a full range of glass racks designed to meet your needs. 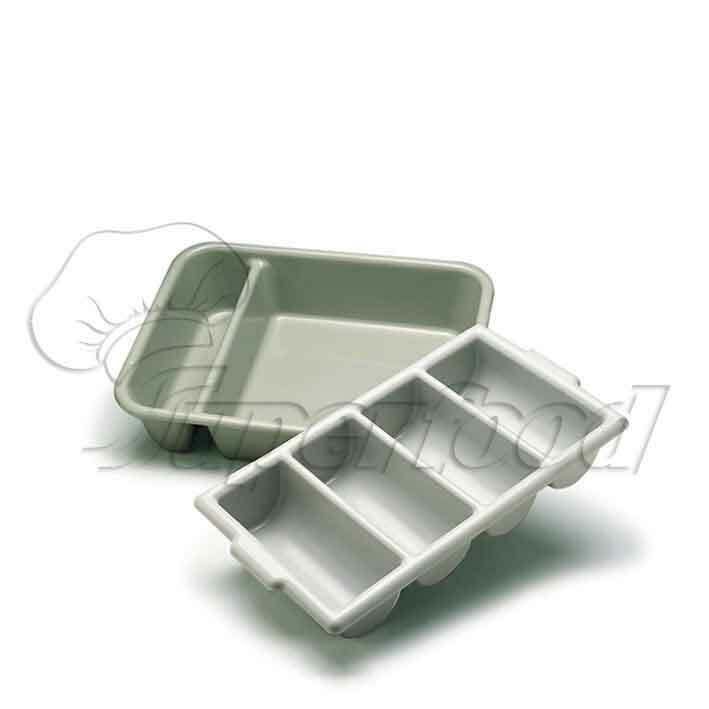 Full dividers in the base offer complete protection for delicate rims. Solid dividers in The OptiClean™ Glass Racks with Color- Coded Extenders make it easy to identify glass rack size or match specific glassware with a specific rack simply by color. 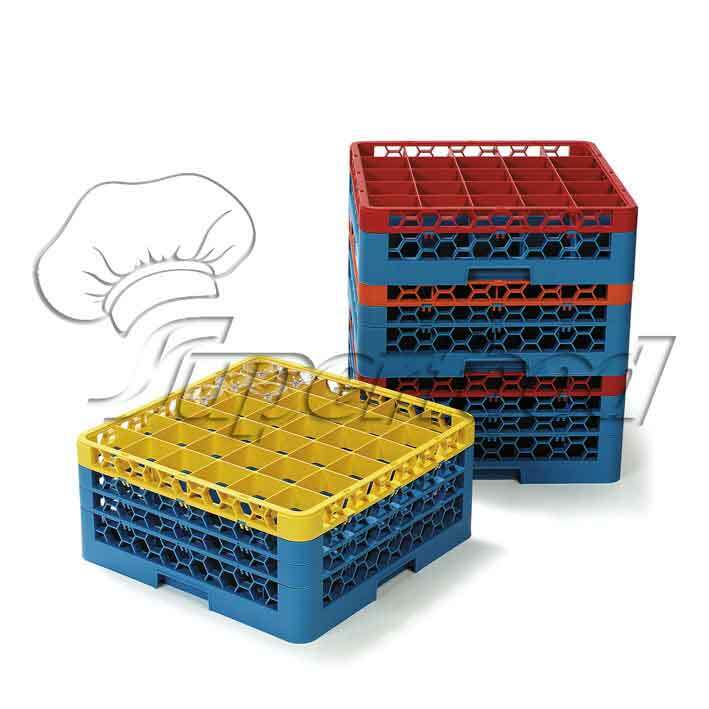 Silverware Tray and heavy-duty bus boxes feature contoured handles for easy handling. Scuff, grease, and stain-resistant. Dishwasher safe.